Congratulations to Desi Patterson! 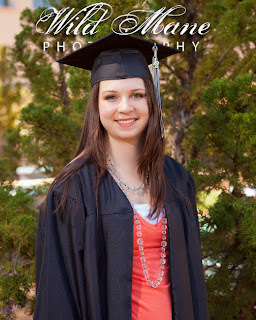 Desi has been named Salutatorian for Guyer High School, Class of 2012 in Denton, Texas. Desi is a wonderful representative for her class and is a great example of what today's teens can be. Not only is she strong academically but she is a kind, giving and caring young woman. As she steps out into the next stage of her life, I know she will continue to excel and make a difference in this world. It was a real honor to have Desi represent Wild Mane Photography as a model and representative this year.